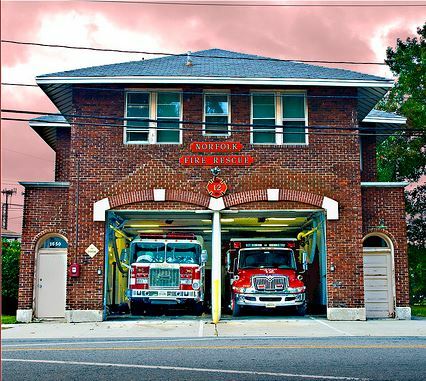 Norfolk Fire-Rescue station #12 has exceeded its useful life and is scheduled to be replaced. Norfolk Fire-Rescue Station #12, located at 1650 W. Little Creek Road, is 91 years old and has reached the end of its useful life. The average age of Fire-Rescue stations in Norfolk is 42. Fire-Rescue response needs have expanded over the years to include areas like emergency medical service vehicles (ambulances) which were not contemplated when Station #12 was designed and built for horse-drawn fire wagons. The Meadowbrook school site has been identified as the new location for Station #12. The western portion of the site, directly across from the current Station #12 will house the new Station. The eastern portion, where the school currently stands, is planned to be a passive park. The new station will include approximately 14,000 sq. ft., ADA Accessibility and 3 bays at a cost of $5.125 million. Demolition of the Meadowbrook school is expected to begin in late 2015 and conclude in the spring of 2016. There are no current plans for the old Station 12. A public meeting will be held in mid August wherein residents in the surrounding neighborhoods will be able to provide feedback on the architectural design of the new Station. 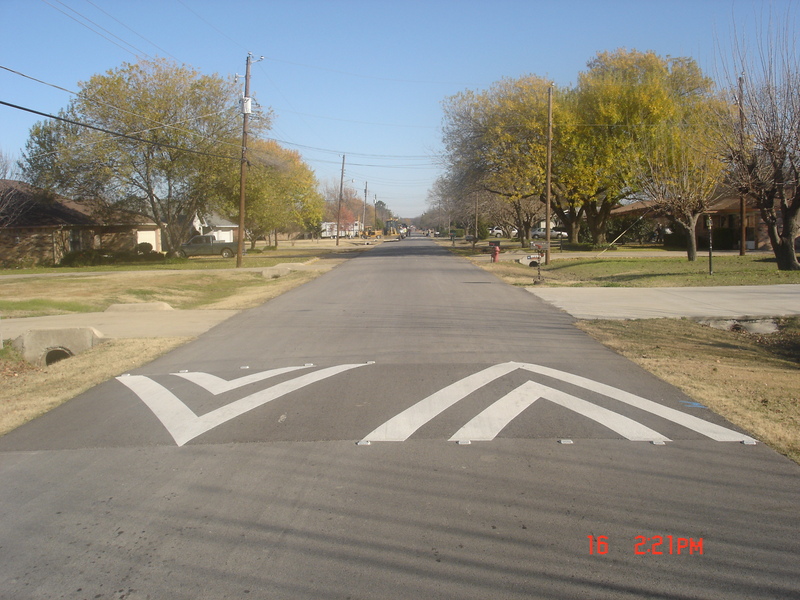 An example of a speed hump. Speed humps are being proposed for North Shore Road. A number of civic league presidents met with City officials last night to discuss a traffic calming plan for North Shore Road. Residents in Meadowbrook, Riverfront, Titustown, and Algonquin Park have been suffering from an excess of cut-through traffic on North Shore Road between Hampton Blvd and Titustown. Speeding has also been a problem on that same stretch of road. Preliminarily, the City’s engineers have suggested up to 10 “speed humps” along North Shore Road between Shirland Ave and Diven Street. Additionally they are considering mini traffic circles and the removal of stop signs to promote bicycle traffic. No decisions have been made. There will be a community meeting in mid-August, likely to be held at the Church of the Good Shepherd, at which time residents of Lochhaven, Meadowbrook, Riverfront, Algonquin, and Titustown will be able to weigh in on the recommendations and make additional traffic calming requests for their neighborhoods. One issue that the City and residents cannot agree on is the appropriate speed limit for North Shore Road. Residents have requested that the speed limit be reduced from 25mph to 15mph. City staff has agreed to further study that request. A funding source will need to be identified, but construction is expected to begin in late Fall, 2015. If successful, similiar traffic calming, and bicycle encouraging, measures may be extended to the “other” North Shore Road that runs into Granby Street. We meet: Tuesday, June 16, @ 8:30 a.m. and end at 9:30 a.m. Doors open @ 8:00 a.m. Farm Fresh, 230 E. Little Creek Road, Norfolk in the Marine Room on the second floor. Topic: City of Norfolk Resilient Cities effort, I will be discussing an Entrepreneurial Climate survey. Please RSVP qwcaba@cox.net or call and leave a message at 587-7975 by June 14. While the City has made great strides in Denby Park by purchasing some of the substandard housing and tearing it down, there continues to be a criminal element plaguing that neighborhood. This is why Wards Corner Now and the Wards Corner Task Force continue to support the implementation of the Greater Wards Corner Comprehensive Plan which calls for the acquisition and demolition of the undesirable housing and the replacement thereof with a mixed use development, making use of the Uptown Norfolk concept. Two men burst into a home this morning in the 300 block of E. Little Creek Road and stole a man’s vehicle and other items. The home invasion was reported at 4 a.m., a police news release says. The resident suffered minor injuries and was taken to Sentara Norfolk General Hospital. The man’s vehicle is described as a 2002 gray Chevrolet Trail Blazer with Ohio license plates. No description was given of the two robbers. 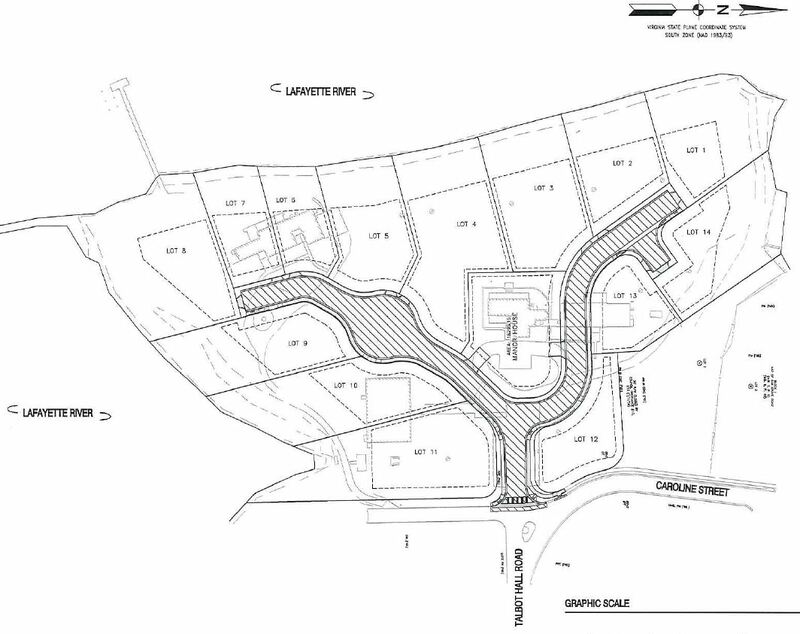 This is the Talbot Hall development site plan as submitted to the Planning Commission in April of 2014. This site plan does not reflect the 50 foot buffer negotiated as a part of the compromise with the Talbot Hall Foundation in March of 2015. After reaching a compromise with the Talbot Hall Foundation in March of this year, developers are now moving forward with the Talbot Hall development at the end of Talbot Hall Road in the Talbot Park neighborhood. Site prep work has begun and the buildings on the site, except for the historic Talbot Hall, are planned to be demolished before the end of June. Utility work is scheduled to begin this month and, weather permitting, should be completed by October. Construction of the single family homes should begin towards the end of this year. You are currently browsing the Wards Corner Now - Wards Corner, Norfolk, Virginia blog archives for June, 2015.